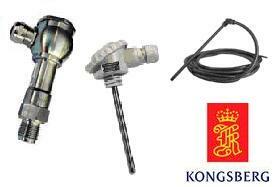 Kongsberg has been developing temperature sensors and pressure transmitters for the maritime market since 1960. Kongsberg maritime instrumentation systems comprise engine room monitoring & control, condition control for diesel engines, and cargo monitoring & control. More than 10.000 ships use Kongsberg solutions which have been developed in close cooperation with customers, classification societies and research institutes.